Learn about the cataclysm that ended the last ice age, the Biblical Flood, the survivors’ struggles and myths…and the events that have since shaped the world. 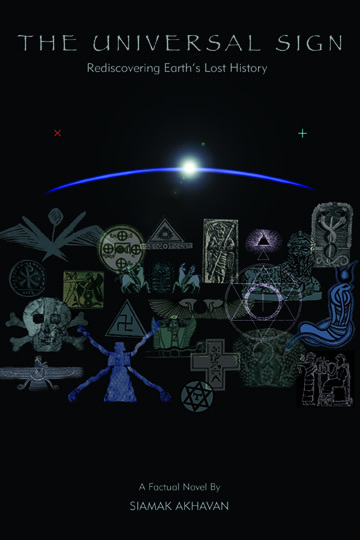 Discover the ancient origins of astronomy, alchemy, religion, heresies, empires, wars, humanity’s historical amnesia, and the true causes of our world conditions. Uncover the real identity of Earth’s historic rulers, ancient gods, “God”, and the true nature of creation and its “Source”. This ambitious odyssey of epic proportions explores all such perplexing enigmas. Mysteries, whose origins lie in remote antiquity. A forgotten…lost history of Earth! WARNING: This book reveals extremely controversial realizations, about the world’s economic, political, and religious quagmire. One may never look at the world the same way…ever again! This book is a NON-PROFIT project. printed book for only the COST OF PRINTING.